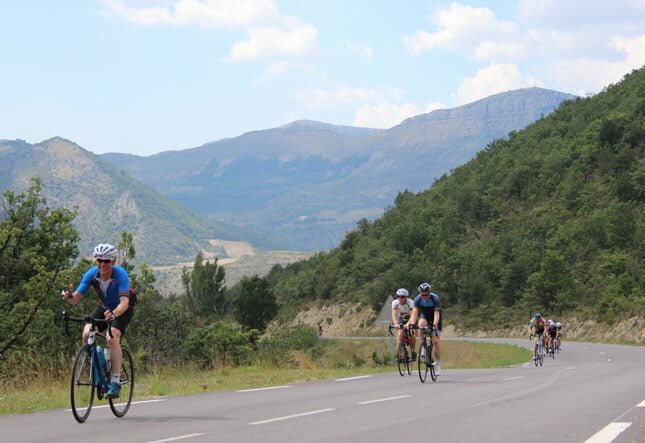 Join the Ventoux to Alpe D’Huez with More Adventure! 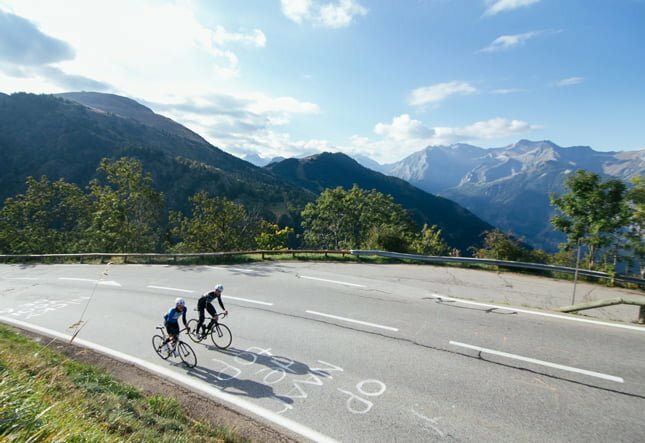 Tackle some of the most famous climbs in the world through the incredible scenery of Provence and the French Alps. 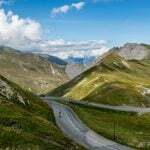 This trip includes many dream climbs for any serious cyclist including Mont Ventoux, Col du Galibier, Col D’Izoard, Col du Glandon, and the mighty Alpe D’Huez. You will be cycling for between six and eight hours each day but this is not a race! 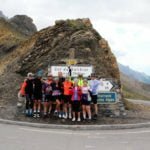 This is a group trip and we like to cycle as such, the pace will be determined by your Cycle Leader. You must be an experienced cyclist who cycles regularly and maintains a good level of bike fitness. There are significant climbs throughout this trip that will require stamina, bike fitness and technical ability on descents. We can provide you with a training plan, please contact us on info@moreadventure.co.uk. 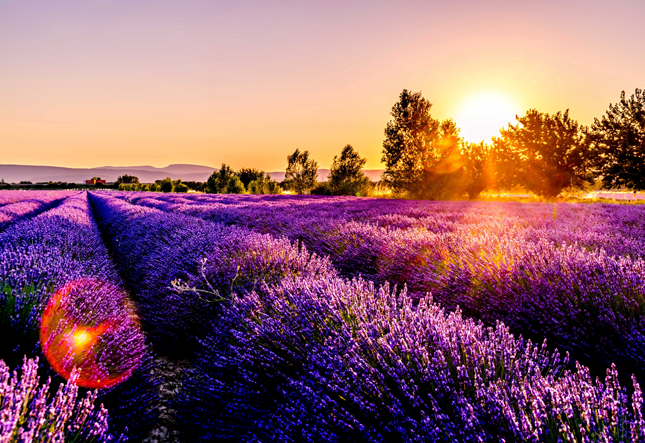 The trip begins at Marseille airport where you’ll be met by the More Adventure team and transferred to our first hotel in Bedoin. Here we’ll build bicycles and have a trip briefing before our first evening meal together. If you’ve decided to take advantage of our bicycle transfer service, this is also when you’ll also be reunited with your bicycle. 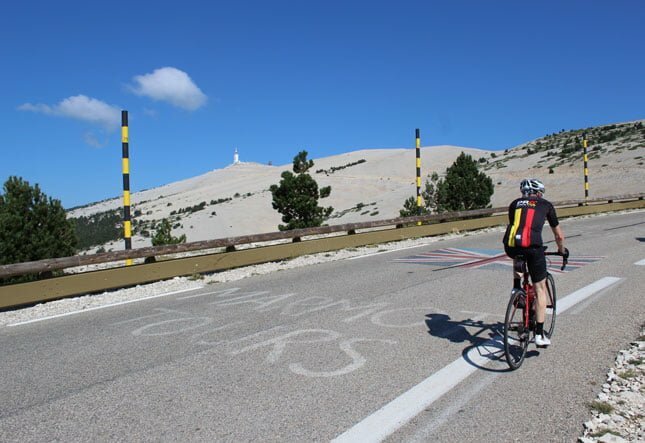 Mont Ventoux has been a favourite on the Tour de France for decades and for good reason. Our first day’s ride begins from our hotel in Bedoin from which the classic route begins. 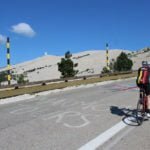 It’s a climb with an average gradient of 7.5% over 21.5km and achieved worldwide notoriety on July 13th 1967 when it claimed the life of English cyclist Tom Simpson who died whilst climbing it. The summit of the climb is at 1912m where we’ll take some photos then begin the long descent back down to Sault for lunch. 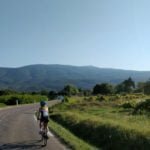 We’ll then ride on through the beautiful countryside landscapes of Provence to our overnight stop in Château-Arnoux-Saint-Auban. 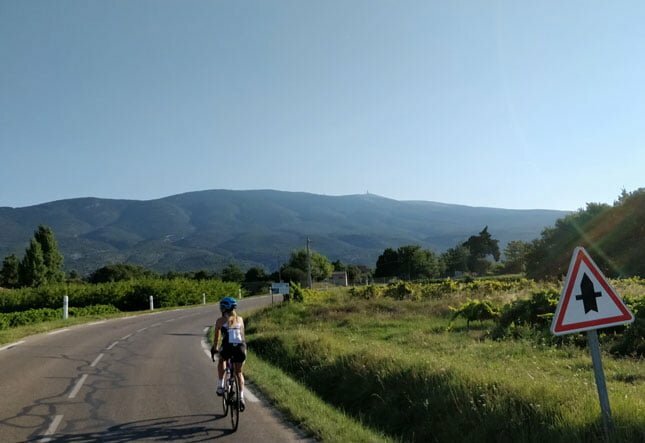 Today’s ride starts with a stunning warm-up through a typical Provence landscape after which we enter the foothills of the Southern Alps. 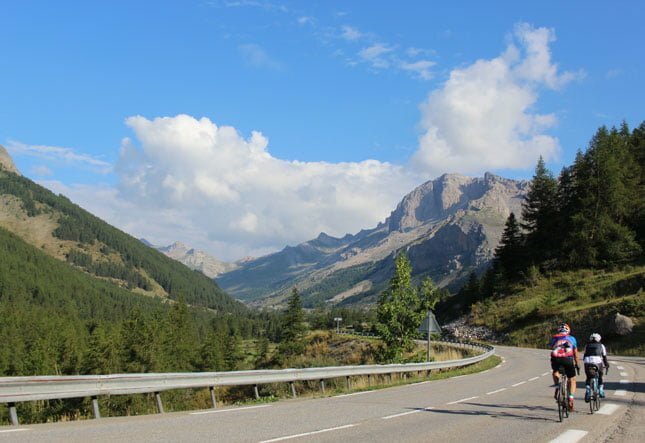 The main climb of the day is the Col d’Allos which is long and gradual, beginning in a dramatic gorge before topping out in picturesque alpine meadows. On clear days the views from summit of Col d’Allos are incredible so we’ll hopefully spend some time taking photos before continuing down the other side. After a shorter, five-kilometre climb, we’ll arrive at our hotel for the evening in Barcelonette. 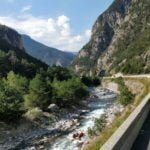 Our route today heads north running parallel with the Italian border, during which you’ll tackle two climbs that were included in the 2017 Tour de France. After a short descent to the valley floor, we’ll begin our first climb, Col du Vars, by cycling northeast through the village of Jausiers. 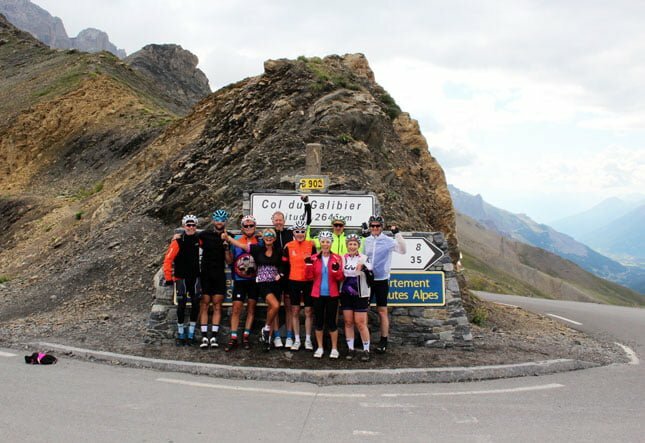 Five switchbacks in the final five kilometres reach the summit of Col Du Vars after which a thrilling descent leads us to lunch near the village of Guillestre. 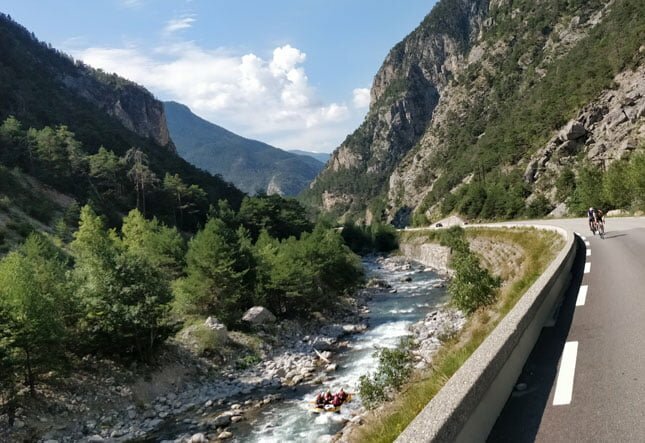 After lunch we pass through a fabulous gorge following the river Guil as we approach the beginning of our second climb, Col d’Izoard. 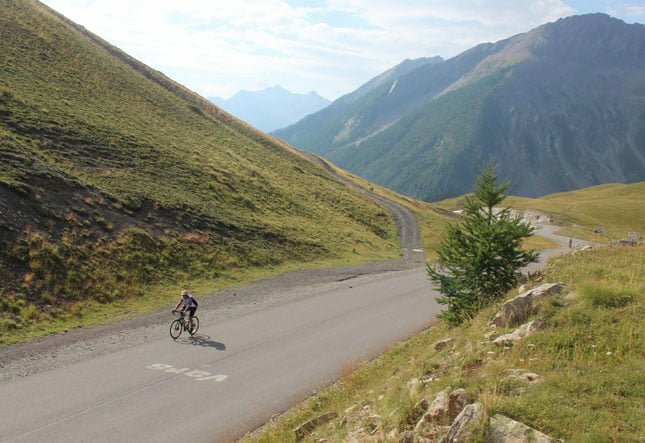 The gradient is similar to Col du Vars but the summit is over two-hundred metres higher. During the climb we’ll pass through the dramatic and unique weathered rock formations of the Casse Deserte before descending to the pretty town of Briançon where we’ll spend the night. 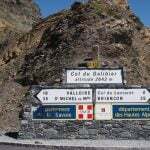 Today is a shorter ride but conquers two fantastic climbs – Col du Lauteret and Col du Galibier. After two kilometres of warming up, we begin a thirty-four kilometre climb heading northwest. 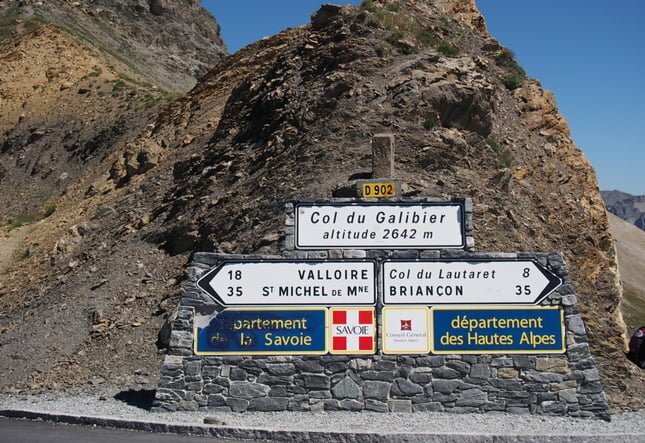 Upon reaching Col du Lauteret, we turn towards the infamous Col du Galibier. 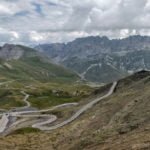 At 2642 metres above sea level, the Galibier is the ninth highest paved road in the Alps, is often the highest point of the Tour de France, and spends many months every year covered with snow. It’s also one of the most scenic climbs in the Alps, so, as today is slightly shorter this will give us every opportunity to soak it all in. We descend to the picturesque village of Valloire where we’ll spend the night. 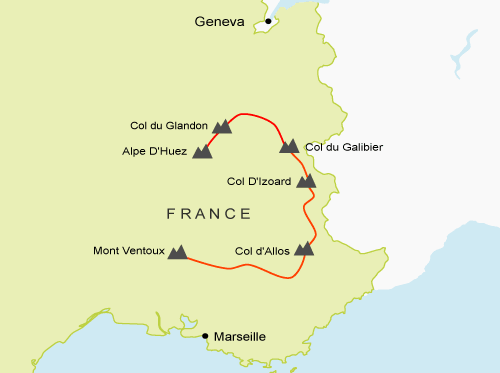 After a short climb to another famous summit, Col du Telegraphe, we’ll descend around thirty kilometres to Saint-Etienne-de-Cuines the foot of Col du Glandon. 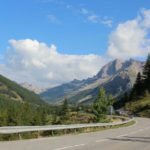 This climb passes through the classic alpine scenery of pine forest, lush green meadows and jagged peaks, to the summit at 1924m. 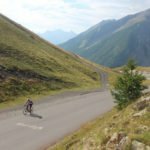 From here you’ll have the opportunity to bag the Croix de Fer, a satellite peak nearby where a well-earned coffee will prepare us the thrilling descent to Lake Grand Maison then onto Lake Verney. After one final short climb, we’ll reach our hotel in Vaujany where we’ll spend the next two nights. 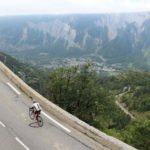 Today you’ll tackle one of most famous climbs ever – Alpe D’Huez – fourteen kilometres that have tested the strongest cyclists from all over the world. 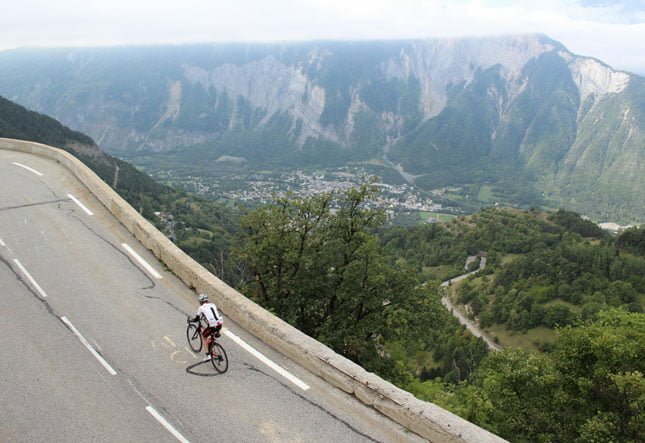 We drop down from Vaujany to Bourg D’Oisans on the valley floor, as the mighty hairpins rise up to the northeast of us. 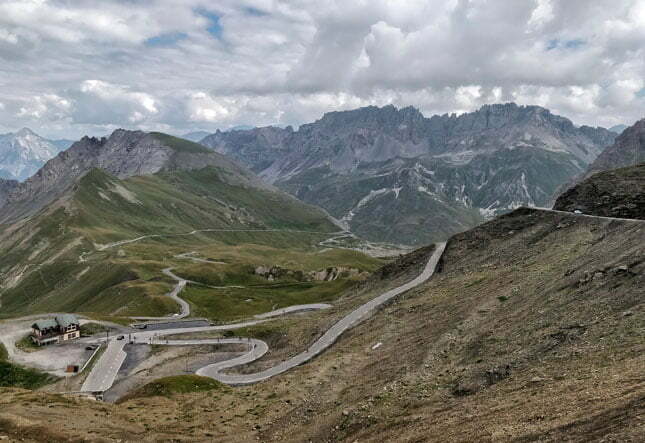 This climb is a mecca, with thousands every year ascending the twenty-one switchbacks at an average of 8.1% to the summit, following the tyre-marks and graffiti-named legends scorched onto this infamous stretch of tarmac. Upon reaching the summit at 1860m, we’ll have a celebratory drink before descending back down to our hotel in Vaujany for our final night together. 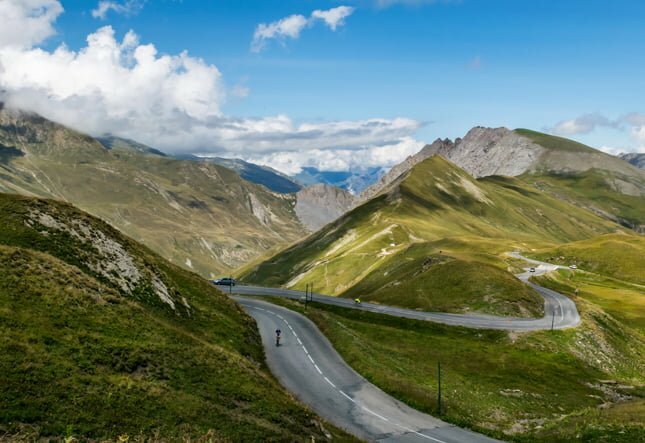 Today is the final day of the trip and after breakfast you’ll be transferred to Geneva Airport for your flights home having tackled some of the most iconic climbs in the history of cycling. Single supplement for this trip is £275 which can be added upon booking. Flights are not included in the itinerary but will cost around £150 – £200 return from London. 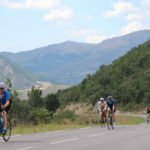 How do I book a bicycle transfer? Once you have made your booking and the trip has been confirmed we will send out a simple form for you to fill in your specific requirements of the pickup and dropoff. We'll then look at the logistics and work out whether it is viable and provide you with an invoice for the pickup and a date/time slot for the pickup. How much are flights to and from the trip? Flights costs around £150 - £200 return. How does the bicycle transfer service work? The bicycle transfer is a door-to-door bicycle and luggage transfer service. Basically a few days before the trip begins your bicycle and main piece of luggage will be picked up from an agreed address at a specific time slot and driven to the start point of the trip. At the end of the trip they will be returned to an agreed address a couple of days after the trip ends. The price will depend upon how many others in the group require the service and where your pickup point is, it is however usually cheaper than hiring a bike box, checking your bike box onto the plane and the logistics of getting your bike to the airport. You do not need a bike box and your bicycle will not need to be dismantled. It saves you a lot of hassle and time, and allows you to fly with hand luggage only!